Performance and protection in styles that work on or off the course. Total performance in a full wrap style. Callaway offers excellent peripheral protection in this semi-rimless, aggressive but lightweight frame with hi-tech features. 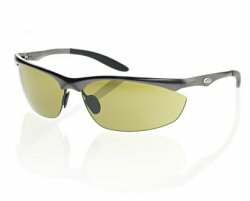 The H301 Sunglasses are perfect for unrestricted coverage and protection. This modified shield will deliver the utmost in performance along with patented Neox lens technology. Crystal clear vision for any day! From Anonymous of Las Vegas, Nevada on 7/26/2007 . These glassed don't distort your vision on the ball and stay in place when you swing. 7/26/2007 – I've been trying to find these forever! Can you ship them to me on tour? Response From FirstFairway: We would be more then happy to send them to your next destination!